Khulumani Support Group agrees with Advocate Dumisa Ntsebeza’s statement that government has failed the victims of apartheid. 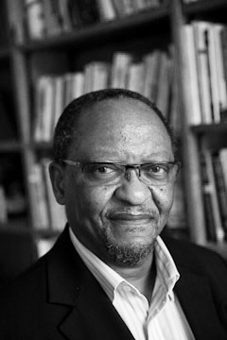 In a radio interview on SAfm on 21 June 2013, following his keynote address to the LAND DIVIDED Conference, held at the University of Cape Town last week on the anniversary of the Native Lands Act of 1913, Advocate Ntsebeza stated that there had been a shameful lack of political will to deal with the issues of reparations for the apartheid-era victims of gross human rights violations. He reminded the nation that 10 years have passed since the final report of the Truth and Reconciliation Commission (TRC) was handed over to government on Human Rights Day, 21 March 2003. Khulumani Support Group, the national membership organisation of victims and survivors of these gross human rights violations, concurs with his contention. However, Advocate Ntsebeza limited his statement to victims “identified by the TRC”. Failure of government to provide the same remedies to all victims who suffered the harms that the TRC included in its mandate is a continuing sore in our national psyche and a major flaw in South Africa’s transition. The apparent determination of the Department of Justice to adhere to an entirely arbitrary bureaucratic decision to limit reparations to only those individuals who managed to secure recognition by the TRC in its severely limited time frame of two years for the taking of victim statements, remains the most serious aspect of South Africa’s unfinished business. Khulumani’s legal advisors can find no legal justification for this situation in the Act that led to the establishment of the TRC, the National Unity and Reconciliation Act of 1995. The outcome of this bureaucratic decision, which could be reversed if the president and his Cabinet had the political will to transform this situation, is one of gross injustice – of justice untransformed by its failure to advocate for the application of the same rules to all persons who suffered similar harms. The situation recreates the apartheid experience of many thousands of South Africans of being entirely subject to arbitrary bureaucratic regulations and their implementation. On Wednesday, 17 April 2013, the US Supreme Court ruled that the Nigerian plaintiffs who had claimed that the Royal Dutch Petroleum Company had been complicit in violating their human rights, may not continue their litigation in US courts using the Alien Tort Statute, the 1789 statute enacted to deal with violations committed by pirates on the high seas. In a 9-0 opinion, the court affirmed the Second Circuit’s dismissal of the Kiobel complaint that the Alien Tort Statue (ATS) does not permit claims for the “extra-territorial” claims made in that case. The Court decided that “where the claims touch and concern the territory of the United States, they must do so with sufficient force to displace the presumption against extraterritorial application.” The Kiobel case did not in their view, meet that standard. On 2 September 2012, Khulumani Support Group, the national membership organisation of some 80,000 survivors of gross violations of human rights associated with apartheid political violence, submitted an urgent appeal to the office of the UN Special Rapporteur on Extrajudicial, Summary or Arbitrary Executions, Professor Christof Heyns, to conduct an independent assessment of whether some of the killings of the Marikana mineworkers on 16 August 2012 could be viewed as meeting the criteria for extrajudicial killings. The decision to lodge this urgent appeal followed the emergence of evidence suggesting that some of the miners from the Lonmin Platinum Mine who lost their lives at Marikana in North West Province, appear to have been shot at close range in an area known as ‘Small Koppies’, while trying to escape from police shootings. Khulumani calls for justice for the Lonmin mine workers and their families – as well as for the 1987 Sasol workers. For Khulumani, the resonances of the Marikana massacre with experiences of some of their members are particularly strong. Some 2,400 former Sasol workers who are now Khulumani members, were dismissed en masse after their participation in a strike that commenced on 1 October 1987 in Sasolburg. This followed a worker ballot the previous day that supported taking strike action. Despite their best and continuing efforts, justice has continued to evade these Sasol ex-workers to the present. Because of their own bitter experiences, the Sasol ex-workers expressed concern that the Lonmin mineworkers should not similarly find themselves still battling for justice twenty-five years after the shameful Marikana Massacre of August 2012. This would be 2037 – seven years after the target date for the would-be realisation of South Africa’s National Development Plan 2030. In 1987 Sasol One was identified as a National Key Point under 1980 legislation that sought to prevent “loss, damage, disruption or immobilization (that) may prejudice the Republic” at any site of vital concern to the then government. Sasol One was particularly strategic to the South African Apartheid government as it produced oil from coal at the time of a universal embargo by the United Nations on the sale of oil to South Africa. The purpose of the 1980 Act was to protect places and areas deemed to be of strategic national interest against sabotage or other forms of attack. Organising worker protest action for better wages in such an environment required particular courage. This was the courage of the 2,400 workers who made a stand in 1987. Marikana near Rustenburg was the site of a similar stand for better wages and safer working conditions in the Lonmin platinum mine in August 2012. Although the Lonmin mine has not been declared a National Key Point in terms of the 2007 National Key Points, Places of Importance and Strategic Installations Act, almost exactly the same tactics have been applied at Marikana as were meted out to the Sasol strikers of 1987. Platinum is clearly important for South Africa’s mineral-dependent economy. In 1987, the Sasol strike was violently broken when Sasol’s Management called for the assistance of the ‘riot police.’ As strikers gathered as planned on the morning of 1 October, 1987, at the Boiketlong Community Hall in Zamdela where they expected to meet Sasol’s Management for wage negotiations, they were brutally dispersed by riot police and all 2,400 were summarily dismissed. The ex-workers tell of some 77 individuals dying as a result of police action along with vigilante action that tended to accompany strikes. Some died as a result of deterioration in their health resulting from injuries and other associated illnesses. Sasol has accepted no responsibility, claiming that the deaths and injuries were the result of police action, not company action. A similar situation is likely to transpire at Marikana, despite the protections offered to workers by the country’s Constitution which protects the right to strike in Section 23(1)(c) with Section 17 protecting the right to assemble, to demonstrate, to picket and to present a petition. How is it possible that these rights of the Lonmin mine workers were not adequately protected? Despite Sasol’s claims that it works to improve the quality of life in the communities in which it operates, Sasol has to date made no provisions for its ex-workers to benefit from the roughly R80 million it claims to invest each year in community activities and initiatives such as support to ‘education; health and welfare; environment; job creation/capacity building; and arts, culture and sports development’. Sasol failed to approve the application of its ex-workers for Sasol’s Inzalo shareholding scheme and has failed to respond to the Sasol ex-workers’ proposals to date. apartheid-derived or apartheid-informed legislation is removed from South Africa’s statute books. Professor Njabulo Ndebele warns us that “the tragedy at Marikana reflects the loss of the vision of liberation and the onset of repression”. It reveals in the words of Fanon scholar Nigel Gibson, the failure of post-apartheid South Africa to transform nationalism into a programme of social and economic transformation that puts people’s needs first. Instead we note that “the state, having inherited all apartheid’s apparatuses, is becoming increasing sophisticated and authoritarian against opponents, real or imagined”. The challenge of turning back and reclaiming the vision of liberation, is a responsibility we all share. We dare not fail those who struggled so hard and who suffered so much for that vision, amongst them the thousands of Khulumani members. We will not give the struggle away. Ms Nomarussia Bonase, National Capacity-Building Facilitator on 082 751 9903. Khulumani echoes the concerns of a wide sector of society in South Africa about the apparent steamrolling of this Bill through Parliament today, and agrees with concerned citizens that the Bill presents a threat to democracy and the citizen’s right to know. For Khulumani, the implications of this Bill include that the disclosure and publication of the details of the crimes of the past, in order to honour those who suffered to end apartheid, could paradoxically itself be rendered a crime by this Bill. Khulumani members are victims and survivors of apartheid-era gross human rights violations and abuses. Members of the security forces carried out most of these gross human rights abuses and violations. A very limited number of these perpetrators were given amnesty by the Truth and Reconciliation Commission. Some of these perpetrators are now liable for prosecution. If the perpetrators’ actions are classified as ‘secret’ by an official who is authorised to classify it this way, it would become an offence for Khulumani or a Khulumani member to possess this information. This would be a travesty of justice and would completely negate the preamble of our Constitution, which states that we, the people of South Africa, will honour those who suffered for justice and freedom in our land. Khulumani believes it would clearly be in the public interest to make information about crimes of the past freely available to those who suffered for justice and freedom – as well as the public at large. This is one of the many reasons why a public interest defence clause is needed in this Bill. Several members of Parliament are receiving ‘special pensions’ in addition to their salaries because they were involved in the struggle to overcome apartheid. If the information about who is receiving special pensions is classified as ‘secret’ as a consequence of this Bill being passed, information that is in the public interest will be ‘blacked out’ by this Bill. For these reasons, in addition to legitimate reasons proposed by other concerned citizens and those who live in our country, Khulumani Support Group opposes the adoption of the Protection of State Information Bill as it stands.